Guarantee Education Expenses of your Children in a Single Policy! In order not to have any interruptions in the education of your children who are the warranties of our future, we developed Education Insurance as Demir Hayat. Education Insurance actually is a kind of life insurance which protects against the financial risks that may emerge during the education of your children. It steps in in your absence and continues to afford education expenses on your behalf. 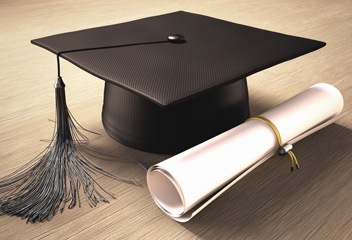 The purpose of the Education Insurance is to guarantee against the financial risks that may emerges in case of the loss of the person that finances the education. The age of the person to be insured against the loss of life must be between 18 and 60. If you wish, you can get your own children or child or children of someone close to you covered. Premium and coverage of the Education Insurance is in US Dollars or Euro according to your preference. You define the coverage, premium and the duration of the insurance according to your needs and anticipations. The duration of the insurance can be extended in case of extension or intermissions in the education period. Our most valuable assets are our children. We mustn't leave their future to accidents or misfortunes of life. Have an Education Insurance and already have a happy picture of their future.